China Meter Counter Chimney Inspection Camera for Sewer Drains supplier - high quality Pipe Sewer Drain inspection camera Handheld series for sales, Pipe Sewer Drain inspection camera Handheld series manufacturer. Shenzhen Wopson Electrical Co., Ltd intentionally deals with all kinds of electronics and specializes in security and monitoring system. 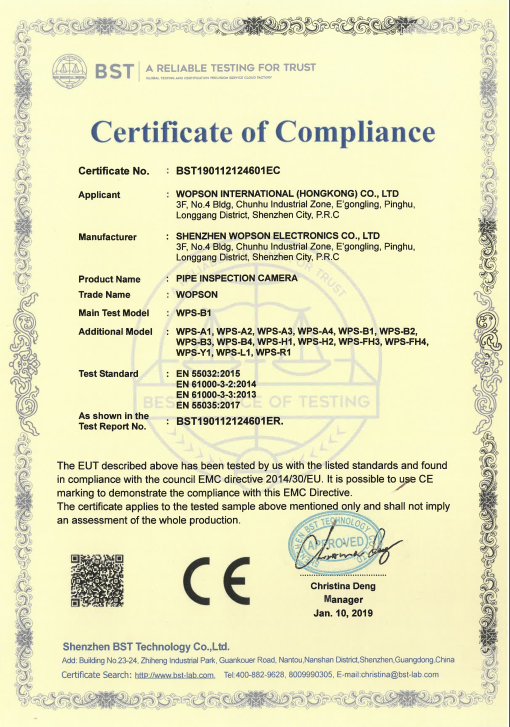 Wopson has a producing base in Shenzhen, Our main products include CCTV, Special Monitor system & pipe inspection system.